If you want an idea of how much your new carpet might cost then it is helpful to have room measurements with you when you go shopping. Here is a quick guide to help you with initial estimates. Your local retailer or qualified carpet fitter will usually want to provide an exact measure before placing your order. Measure the maximum width and length at the room's widest points. If the room is not a regular shape, make sure to measure any indentations too, e.g. fireplace, bay window etc. This is important so that all of the carpet you buy can be utilised effectively, helping you minimise cost and waste. Remember to allow enough carpet to be fitted under the door threshold! 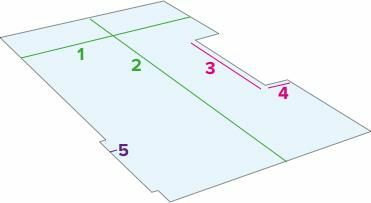 Multiply the width measurement by the length measurement to give you an idea of the total square metres required (carpet prices are usually per square metre), e.g. 2m x 4m = 8m². To work out an approximate price take the carpet square metre price e.g. £40.00 and multiply it by your total square metres: £40.00 x 8m² = £320.00. Add these two measurements together. 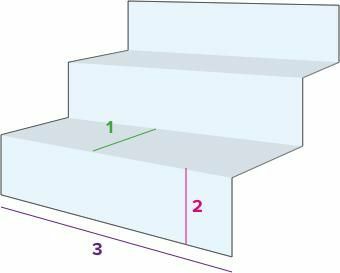 You should add approximately 5cm per step to allow for covering edges or extra needed for underlay. Count the number of steps! This is only a guide - Your local carpet expert will usually want to be able to see the space and measure for themselves to plan the most economical way to lay the carpet (some carpets like Bell Twist are available in different widths). Patterned carpets - If you choose a patterned design you might need to order extra carpet to match this up across rooms or in unusual shapes. Stairs with winders or half landings will need additional carpet to satisfy changes in pile direction. Underlay and fitting costs need to be added in too. Remember, your retailer will be able to help you with this.